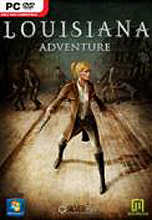 Louisiana Adventure is a game that promises to be good: it’s an adventure game set in early 1900s-era Louisiana. There’s murder, mystery, and potential supernatural elements. 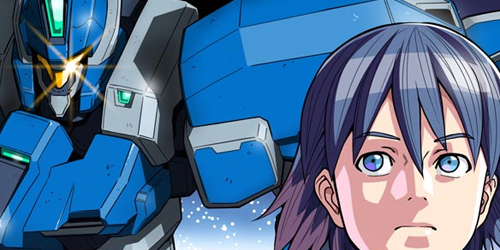 The cover art looks pretty fantastic, and there promises to be a lot of action and fun. You play as Katie, a Bureau of Special Investigation employee who is assigned to a case where three people have been brutally murdered. Her boss believes that there may be supernatural causes behind these murders, and so assigns his best investigator – you, A.K.A. Katie – to go figure out what’s happening. For reasons that don’t hold up, your boss wants you to pretend to not be an investigator, and instead pretend to be… well, anything else. Your job will be to earn people’s trust and goodwill – alternatively, you can intimidate them into answering your questions – but you cannot tell them what your real job is. It’ll be great! Unfortunately, an adventure is not what you get. The story takes place in New Orleans, which is supposed to an incredible place. It’s a location full of history, culture, and excitement. Yet, somehow, this game fails at capturing any aspect of that essence. The environments fall flat, partially because they’re so small, and partially because they’re so… quiet. There’s nothing going on in any of the environments other than what you’re doing. NPCs stand around, most of them doing nothing. There’s no ambient noise to speak of, making everything feel unnatural and empty. So much for immersion. Graphically, the game is fine. The setting and clothing seems fairly accurate (at least to someone who wasn’t around New Orleans during the early 1900s) with the exception of Katie wearing pants. It isn’t the most impressive-looking game out there, but it does what it’s supposed to. Unfortunately, the cutscenes and general animations feel unnaturally stiff. Mouths don’t move, and the voice acting is awful. (If you skip through a conversation it will continue through the next loading screen, which is a bit amusing.) Add that to a soundtrack that, while decent enough, doesn’t fit the feel of the game. Why is there dramatic music – like I’m about to be attacked – when I’m just walking around the courtyard? 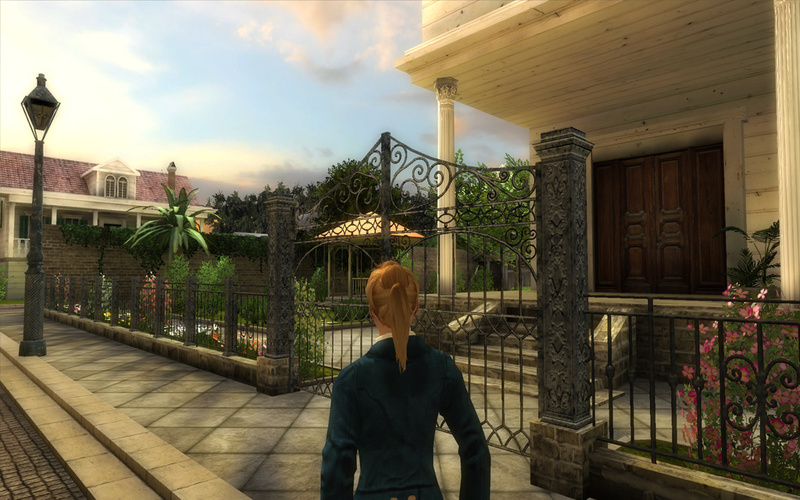 Most of the game’s difficulty comes from having to wander around, find random items, and put them together, than with the actual puzzles. The wonky controls and cameras don’t help much, either. When running around inside, the cameras bounce, and it’s almost impossible to navigate tight spaces. I found myself frustrated within minutes of starting the game, as I struggled to get the camera positioned in a decent manner, and to get the game to register key presses. The game did tend to crash when I tried to exit, which is strange. The interface works well enough; ESC leads you to your save/load options and some preferences you can set that don’t seem to make anything better, and “I” opens up your inventory, which is easy enough to manage. The journal ends up being pretty useful, as it keeps track of information you’ve gathered so far and tasks you’ll need to complete to accomplish your goals. It will also tell you how people view you, for whatever that’s worth. I’m not sure that the dialogue choices make any difference, either, making pretty much every decision you make in the game purely aesthetic. What kind of person would you like to play as? It won’t matter either way, so say what you like. You can actually affect how people think of you by doing things for them, and in some cases that’s necessary, but as far as the dialogue goes, feel free to do what you want for the most part. Despite all this, there isn’t much character building, so don’t expect to get too attached to anyone. Louisiana Adventure is not the worst game I’ve ever played, but I won’t be picking it up ever again. Between the bad voice acting, the bland environments, the rough controls, and the lackluster puzzles, I don’t really see the appeal. File this one under “Pass” and move on to something else.